Bubbly Tuesday // Guest Bubble!! | stesha rose. 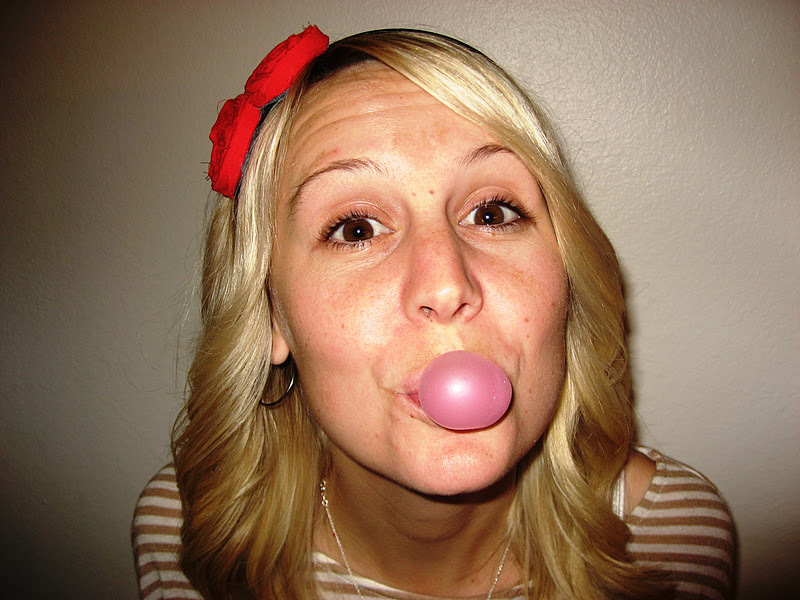 Bubbly Tuesday // Guest Bubble!! I am so excited for today!! Please meet my first guest bubble, Meg from Henning Love! I have been receiving emails like crazy from everyone one wanting to be a guest bubble and I can not tell you enough how good it makes me feel. Thank you all. Take photos of myself blowing a bubble? Yes please how couldn't I participate in that and be part of my wonderful friend, Stesha's, Bubbly Tuesday series. 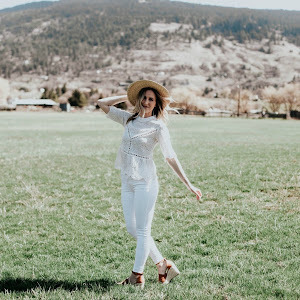 I love Stesha's photography, her humor revealed through her blog and I am hoping, really hoping to be real life friends with her too, meaning we get to meet one day! She is just one of the sweetest and I am happy to be posting her for Bubbly Tuesday series today. In case, anyone doesn't know me, I am Meg and my blog is henning love. I was a fanatic about blowing bubbles when I was younger, I still do it even to this day after 27 years old (oops just revealed my age). I can sit at my desk and blow bubbles away. 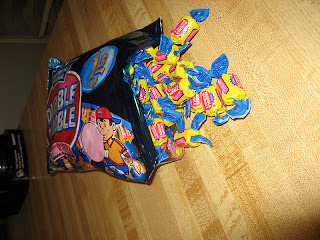 I can make bubbles with mint gum but bubble gum is much more fun and it blows bigger bubbles! What makes blowing bubbles even better? 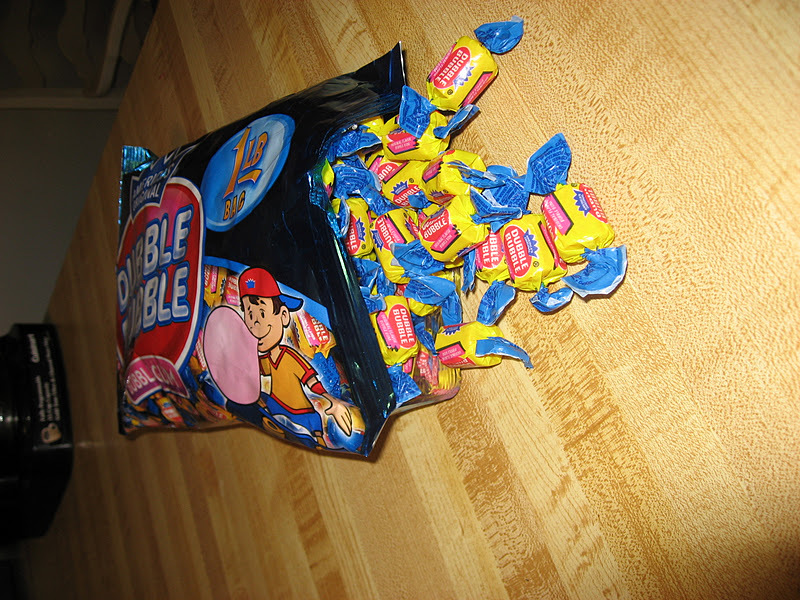 When a co-worker of mine gives me a 1lb bag of bubble gum! As required by Stesha here is my blowing bubble photo. Sorry for the photo quality and the lack of make-up, oops! Oh and the cute rosette headband I bought from Pink Lemonade. Have you checked out her adorable stuff yet? You need to! Ok so what makes me look forward to Tuesdays? I consider it my baking day. I know that after the dinner is finished, the dishes are washed and put away, I get to pull out my recipes, grab my camera, and get out my baking ingredients! I literally can't wait to get home after work on Tuesday and bake! I bake on Tuesday night for the bible study that my husband and I attend each Wednesday, I love baking for that group. It provides me a reason to bake each week, and bake something different, try new recipes. Baking is one of the ways I can highlight my creativity :-) I grew up with my mom baking and everything was from scratch in our household. I continue that, occasionally you will find a few packaged goodies like a cake mix in my baked goods but overall homemade is best! I love to bake all kinds, cookies, bars, pies, cakes, cupcakes. You will see a guest post of whoopie pies this week, which was my first time baking those and I must say I have about 4 or 5 of them sitting on my thighs right now, they were pretty darn amazing. I am pretty confident in my baking skills and love having new recipes challenge and test my baking abilities. What else gets me through my Tuesday or pretty much every day? Knowing that I will get to go home to the best husband and two sweetest dogs ever. I know this may sound weird but the last few weeks, we have really been cementing the feelings of being a family. 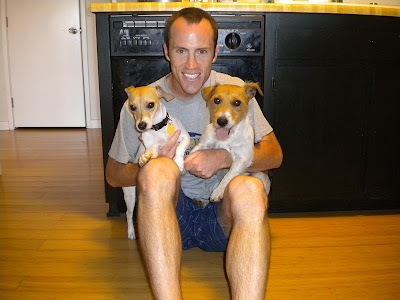 My husband and I say the best times we have are when we are at home hanging out with our dogs. They are such a joy to be with and knowing how much we love them now as our current fur babies, my heart will be bursting with love when we have our own human babies. How could those sweet faces not light me up on a Tuesday and help me get through the day a little bit better. My husband makes it that much easier to get through a Tuesday! In fact last Tuesday morning before I was heading off to work, he sent me an email filled with Bible verses to encourage me through my day. If that doesn't say a Christian husband's love, then I don't know what is. He is such a joy to be around, he is always making me laugh, always making me giggle, and always making me turn into a goofy version of me. I am the serious one in our marriage but being around him, I can't help but turn off the seriousness and lightened up. He has taught me the importance of doing that and looking at situations in life not as serious as I think they might be. He is the man I want to be with the rest of my life and I am glad God picked us to be together. So let me see what you are all doing to make your Tuesday Bubbly?! Link up below!! Cant wait to read! ps. I was notified last week that you could not see the link ups, well I couldn't either I just figured no one was linking up :( If that happens again please email me to let me know! Thanks!! I love Meg she is such a sweetie!! thanks for reminding me that I need to have a bubbly tuesday!! I will get to posting right now!! Love the guest post! I love meg's blog! Meg your puppies are adorable, and I love that headband!! Love this post! Is the dog on the left a Basenji? Meg is a doll. Cute pics! Stop by my blog for giveaway week! She is too adorable! And her husband and those bible verses.. Lucky girl!! Guest Bubble? How cute is that??? I love your blog...now following along. :) Thanks for stopping by my blog.